Experiencing anxiety while at the dentist’s office has, unfortunately, become the leading reason why many people avoid their regular checkups. 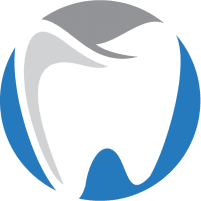 At Oxnard Dentistry in Oxnard, California, Kourosh Keihani, DDS, and his team offer sedation services to ensure that patients are as comfortable as possible. To learn more about how sedation dentistry can help you manage your stress and allow you to get the care you need, get in touch with Dr. Keihani today by phone or online. Sedation dentistry refers to a relaxation technique that alleviates stress in patients who experience significant anxiety during dental procedures. In most cases, sedation dentistry offers anesthetic to help you get through a procedure. However, sedation dentistry doesn’t involve general anesthesia. Still, Dr. Keihani and his team offer multiple levels of sedation to make you as comfortable as possible. The team’s compassionate approach to sedation dentistry is focused on making sure you never avoid dental procedures because of dental anxiety. As the most common type of sedation, nitrous oxide inhalation sedation refers to a procedure during which Dr. Keihani places a mask over your nose. You breathe in nitrous oxide throughout the procedure, allowing you to relax. It’s most recommended for children and young adults, as the effects of nitrous oxide subside within hours of your dental procedure, allowing you to resume your daily activities. Oral sedation uses a pill to calm you down. An hour before your procedure, Dr. Keihani gives you a pill. The pill should make you drowsy and sleepy, though it doesn’t put you under. You should talk to Dr. Keihani and his team to determine whether oral sedation is right for you. Each person reacts to the effects of the pill differently. You should also arrange for someone to come pick you up after your procedure. Intravenous sedation (IV) is another popular type of sedation. In fact, it’s one of the most effective. The most common medication used during intravenous sedation is Midazolam, which ensures that you don’t remember the procedure. However, it doesn’t put you under, so you might need additional local anesthesia in the treatment site. Dr. Keihani and his team use sedation dentistry in accordance with the law and always ensure utmost safety. Throughout the procedure, top-of-the-line equipment regulates your activity to avoid any unnecessary risk. As mentioned above, the main reason why people consider sedation dentistry is if they suffer from anxiety and stress before and during a dental procedure. Dr. Keihani and his team might also recommend sedation dentistry if the procedure you’re set to get lasts longer than three hours. Sedation prevents your jaw from tiring and from your muscles spasming. Get in touch with Oxnard Dentistry today by phone or online to find out more about the benefits of sedation dentistry.